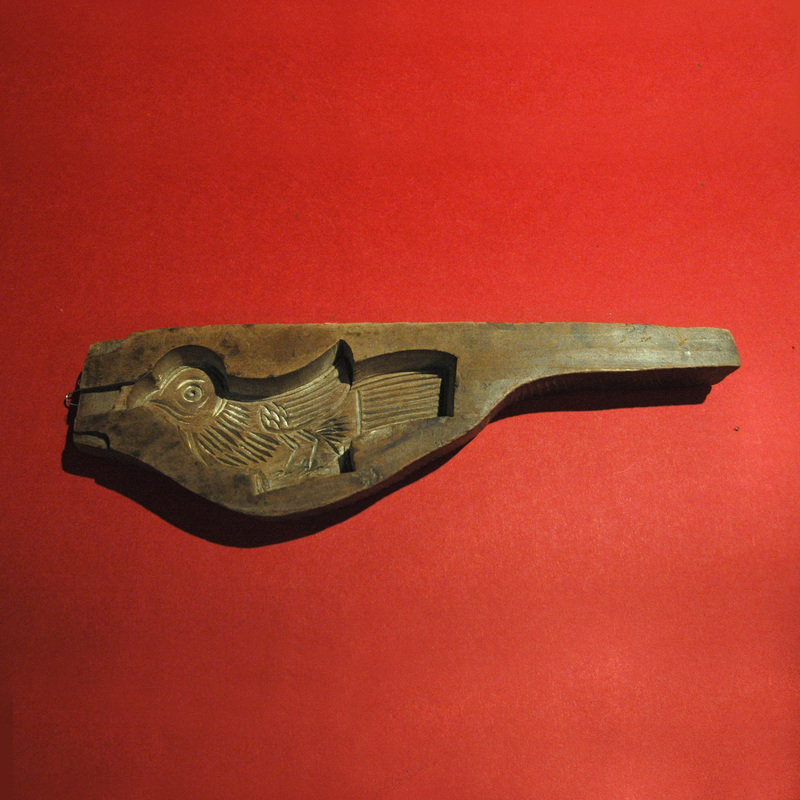 Traditionally a household would have a collection of different pattern cookie moulds; fish, cat, monkey, bird, bat, plants, etc. These mould will be used for the several festivities each year with different recipes. At the beak of the bird in this particular mould, one can see a carving adjoining to the edge of the mould, this air channel will make it easier when releasing the cookie from the mould.